The best source of Noni is grown on rich, pristine volcanic ash fields, which provide a necessary mineral (especially the mineral selenium). Morinda citrifolia (Noni) according to ancient manuscripts handed down from generation to generation, describe many uses for this plant. The Noni fruit is considered an adaptogen, which shows up in every cell as a nutrient, supporting cells otherwise potentially compromised. Noni also helps to increase the oxygen flow to all cells in the body. 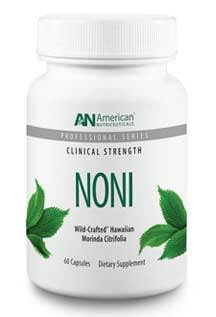 In this way, Noni acts like an antioxidant and can take hold of free radicals and remove them. 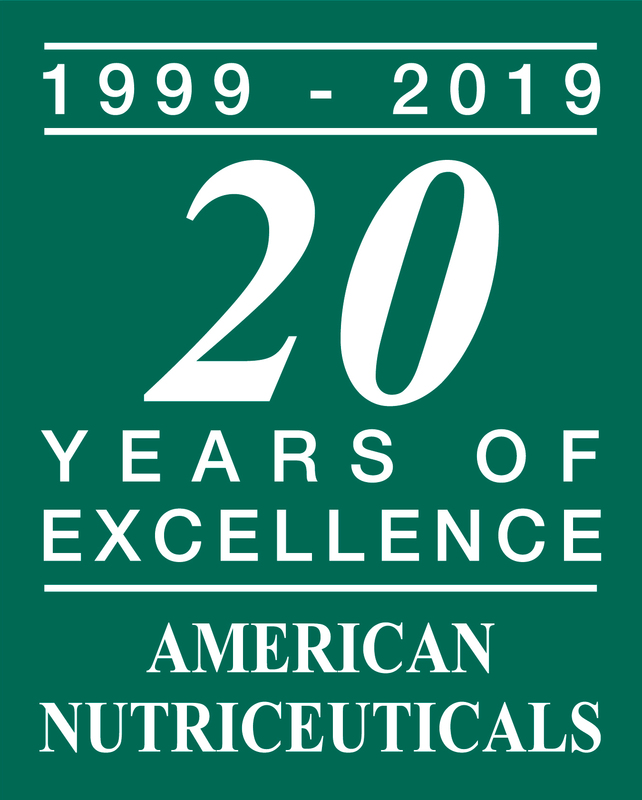 American Nutriceuticals uses 100% pure, "whole fruit" Noni, which is picked ripe in the fields and then into powder that is encapsulated. The advantage of this process is that it prevents deterioration of macro and micro nutrients in the fruit and preserves a native ratio between the bioactive components. 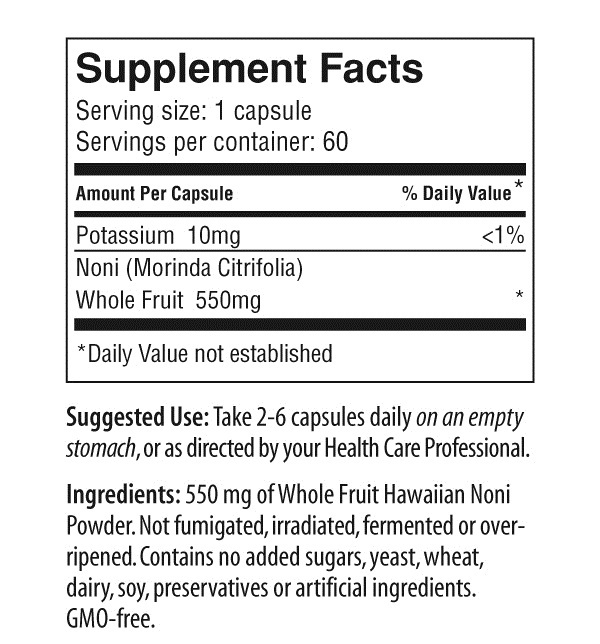 Noni has been proven to be effective for immune support, detoxification, analgesic properties and many others.